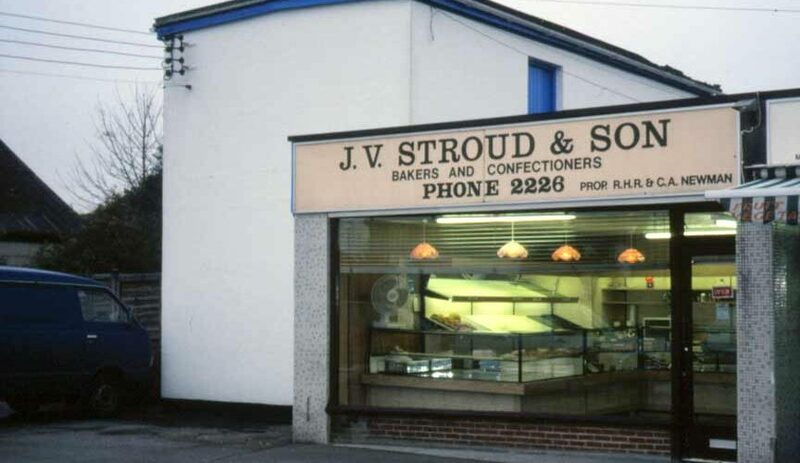 The local bakery at Burghfield Common was opened in 1921 by Mr G J Stroud senior who passed the business on to his son (George) G V Stroud. 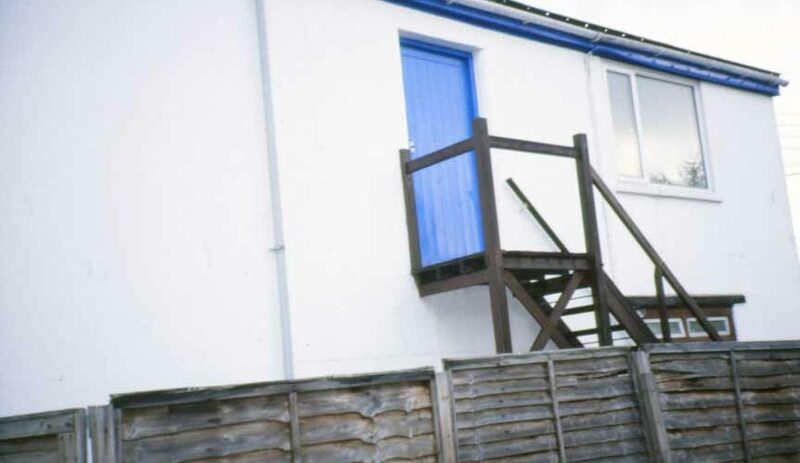 It was a two storey bakery with a flour store on the second floor. 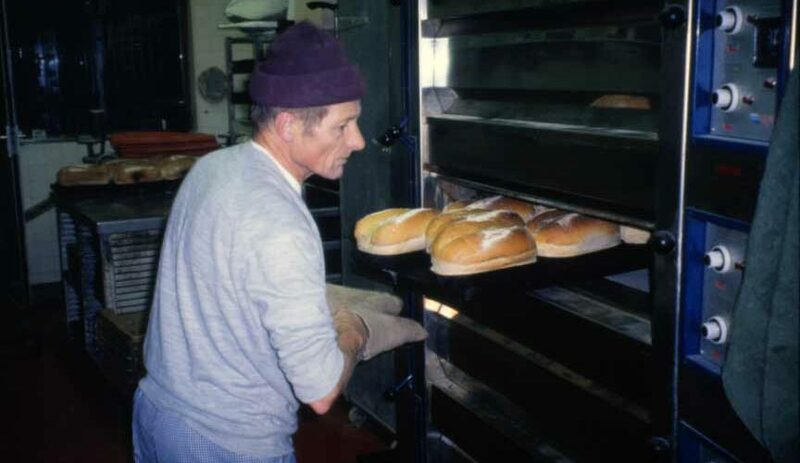 The bakery was taken over by Bob Newman in December 1976 who was the last independent baker in the village. This recording was made, with the help of Bob Newman, on the last day of operation in December 1998. The original bakery was oil-fired, with a side flue. The ovens were changed to electricity in 1964. 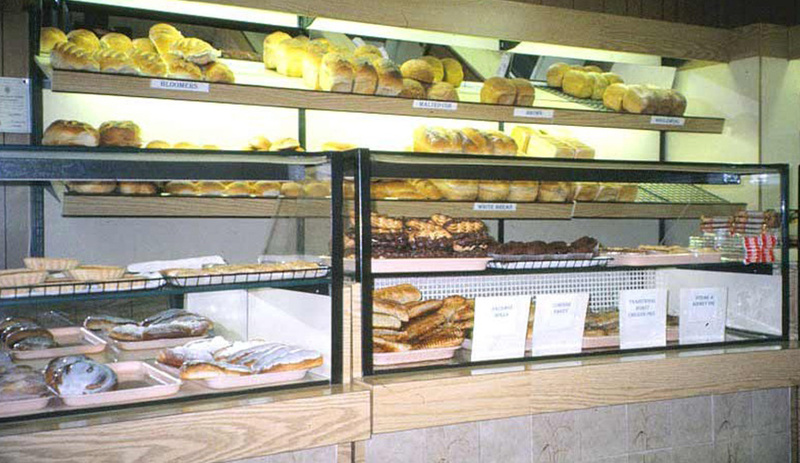 New Vanguard (German) ovens were installed in 1995. There was an original (1920’s) wooden dough-making trough, with added steam beech tops, each 5ft x 2ft 6in. 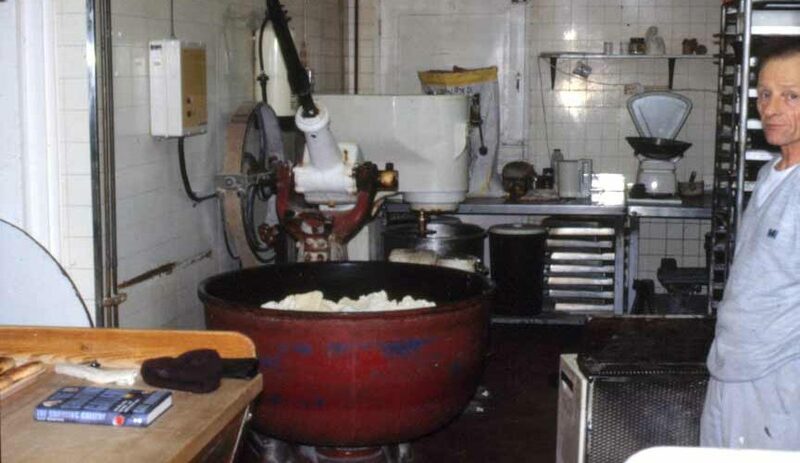 The current dough making machines consisted of a large 1920’s bread dough machine powered by electricity, originally powered by a Lister (paraffin) engine. 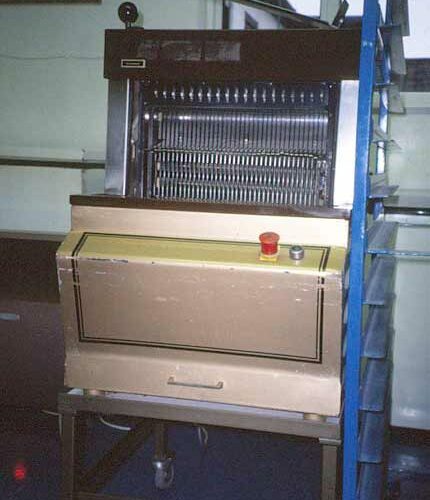 There were also bread and cake making machines, an 80 qt Peerless and a 50 qt Peerless. A Hobart 1927 CT10 cake mixer was the oldest working Hobart dough mixer in the UK. Other equipment included an electric proving hot cupboard (oven); a 36 piece bun divider; a bread moulder. All loaves were made by hand with dough weighed on hand scales. The flour store over the bakery. It was originally used as a grain store for feed for local farmers until about 1940. 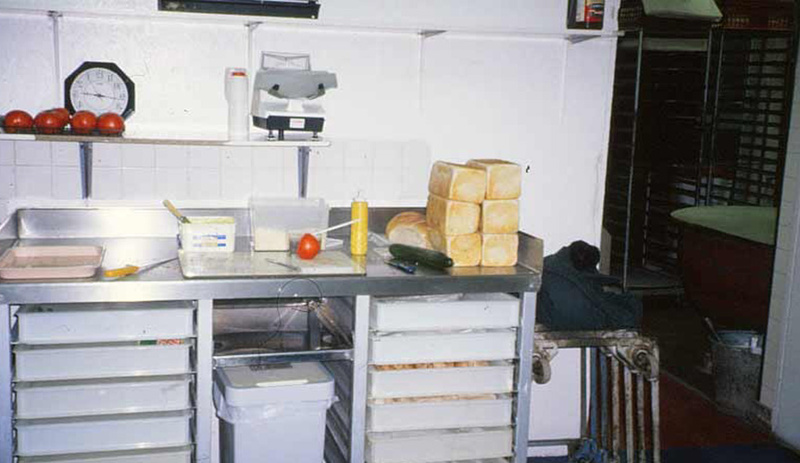 A room behind shop used to prepare sliced bread and filled rolls. 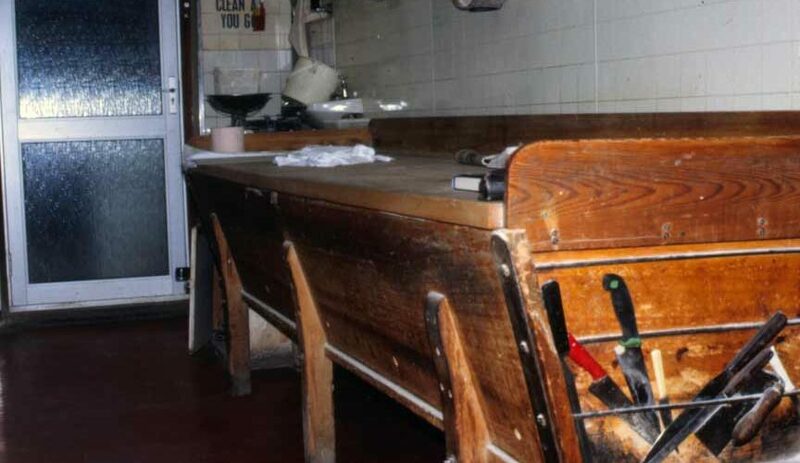 Here the equipment consisted of 2 electric bread slicers; a dough retarder (cooler); three freezers and a three cupboard cold store for yeast and fillings for rolls. The shop also had a fridge and a microwave oven.